So 2012 has neared the end of its run, most of the major releases for Marvel and DC have all been analysed, results tabulated, checked against a spreadsheet and sorted by a complex algorithm into which were the best and the worst of the year. I decided I didn’t like the results it came up with, so I threw that all out and came up with my own Top 5 and Bottom 5 lists, just like a real critic. Before we dive in, a couple of guiding rules. First, don’t take each book’s individual scores as an indicator of whether or not I’ll choose them – something that got 11 or 12 could very easily end up in my Bottom 5, or vice versa. This is based on the subjective amount of fun I got out of each reading, and which ones leap out at me when I look over the past twelve months of time wasted by engaging with them. It might sound like that precludes almost the entirety of my reading list this year, but anything else posted in 2012 is a potential winner or loser. So with that in mind, let’s get to it. This should’ve been the groundbreaking, masterfully-written climax to almost a decade’s worth of Marvel storytelling. Instead, we got a bland, schizophrenic tale that tried – and failed – to paint both sides of combatants as equally in the right, when it was clearly a one-sided fight against the X-Men. 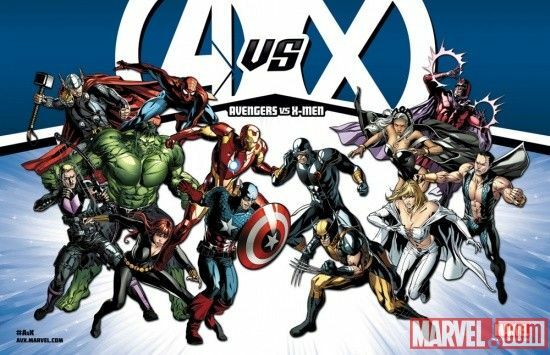 While it has breathed some much-needed new life into Marvel’s long-lived properties, and has brought us such wonders as Uncanny Avengers to usher in 2013, Avengers vs. X-Men left me disappointed, annoyed and kinda wishing Ed Brubaker had just written the whole thing himself. Maybe then it wouldn’t feel quite so shallow. I’m all for giving things a try once, especially when it comes to comic books, and the wave of hype that brought Aquaman to my shores gave me unrealistic expectations when it came to the story. Despite the fact that scribe-extraordinaire Geoff Johns wrote it, The Trench feels like it was lacking coherency, decent characterisation and dialogue that doesn’t belong in an episode of Days of our Lives. 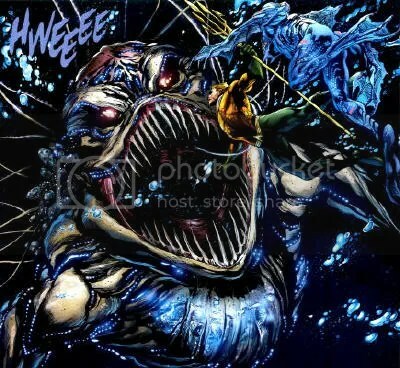 The fact that DC’s big crossover for next year, Throne of Atlantis, means all my favourite characters will be interacting with his series – and thus, means I’ll have to buy the bloody thing – makes me sorely wish for the pre-Crisis days where crossovers were few and far-between. 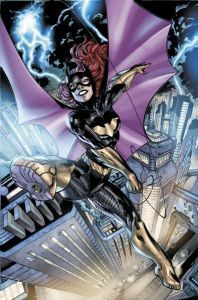 The rebirth of Barbara Gordon being a sub-par story didn’t come as a surprise to me (not least of all because Gail Simone wrote it) but the combination of a cop-out recovery, incredibly schizophrenic dialogue and the perversion and retconning of the previous Batgirl run – which I praised to high heaven – left me annoyed and irritated at what I had in front of me. While I will admit that Ardian Syaf’s artwork rocks my socks off, the story and dialogue can go dive under a train. On reflection, it feels more like an earnest attempt by DC to stick a middle finger up at all the disabled people who viewed Gordon’s time as paralyzed heroine Oracle as inspirational, marvelous and a great change from the norm. Call me when they bring Stephanie Brown back so I can start giving a toss again, or when DC’s PR team decide that segregating the physically impaired isn’t a good way to write stories. Superheroes do not belong in The O.C. That’s the overwhelming message I must convey after reading this piece of trash. 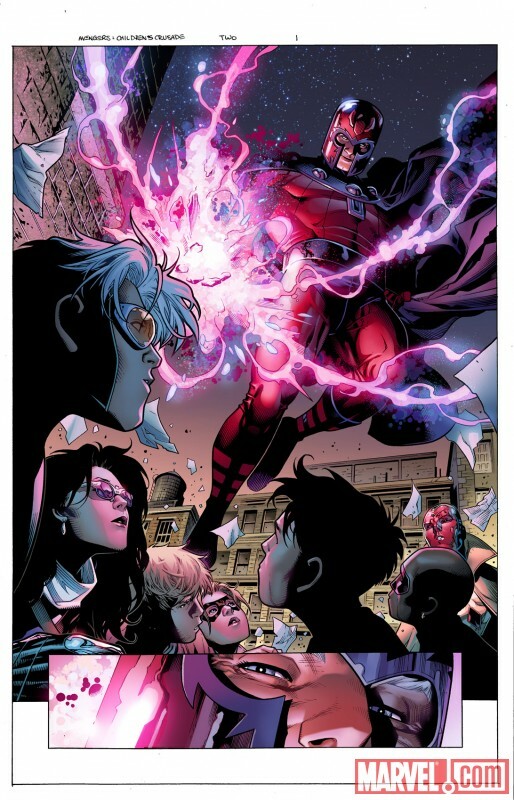 An epic, eighteen-month tale meant to bridge the gap between House of M and AvX turned into a trite, soapy rag of dross with minimal characterisation besides “everyone angst all the time”, some severe character derailment for Captain America, a lacklustre finale and the impression that the story was mostly written out of sufferance on behalf of Allan Heinberg. The artwork by Jim Cheung is absolutely, fantastically, orgasmically gorgeous (and in fact one of the few areas where AvX excelled) but the story and dialogue are just very badly constructed. I could’ve maybe given it more points if Emma Frost had gone all Mrs Robinson on Speed or Wiccan, but alas, it was not to be. It’ll probably come as no surprise to people that this is Number 1, as I’ve taken every opportunity since reading it to openly rag on it, but it really is a stupid, putrescent piece of comic book garbage. I got so angry at time of reading at how overtly-masculine and self-aggrandizing it was, and subsequent glances over it whenever I feel like getting myself annoyed only serve to highlight how utterly asinine the entire experience is. Batman is characterized like a thirteen-year-old, the characters have two-dimensional personalities so bland they make January Jones look deep by comparison, the plot (such as it is) is messed up six ways to Sunday with all the aimless BS it has to keep balanced, the artwork is fairly sub-par and definitely not Tony Daniel’s best work, and the ending is a complete disappointment (which is kind of like saying “this bowl of dog vomit is so bad because it’s garnished with armpit hair”). I may sound like I’m going over the top by blowing my stack over this, but it really is an incredibly poor offering. And the worst part? IT’S A FRIGGING BATMAN STORY. 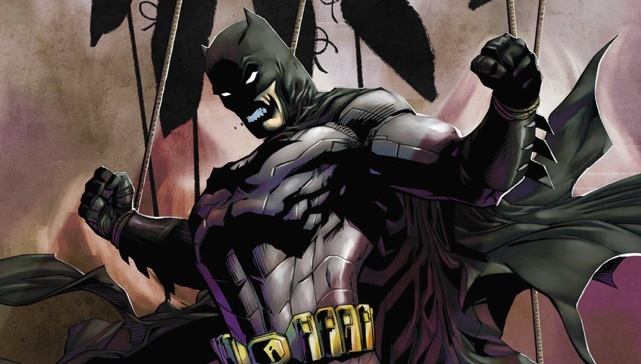 Seriously, do you know how terrible I feel giving my “Worst Graphic Novel of the Year” award to a BATMAN STORY??? What has the world come to? Despite my outburst above, there were actually some good Bat-titles this year. While it’d be quite easy for me to fill out the entire Top 5 list with these titles alone, I figure a couple of them need to be judged outside the spectrum a little. Incorporated gets a mention since I’m more than a little biased about Grant Morrison, and it’d be somewhat unfair for most of the other choices in this category to compete with my unadulterated, creepy man-love for his stories. It’s a damn solid work, better for those who’ve read his previous stuff but still good, I think, for those who haven’t. Born to Kill gets one since it’s the most heartfelt, cerebral Batman story I’ve read this year. You’d think that’d put it somewhere within the list proper, but on the whole I don’t want to judge it against the others because it feels to me like a different kind of story. 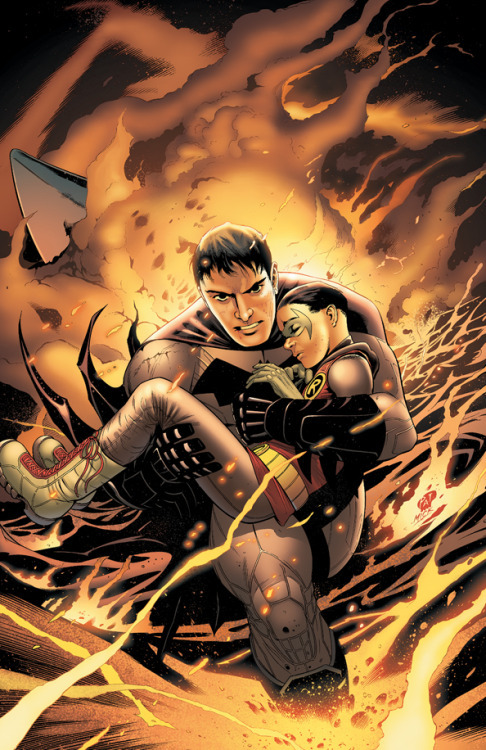 Peter Tomasi and Patrick Gleason made a really involving, emotional tale that didn’t sound like it was ripped from a Hallmark movie’s plot, and had a denouement that gave closure to the story without resorting to fisticuffs or a deus ex machina. Both mentions left me solidly satisfied, like eating a deliciously flavoured sundae full of good story and chopped nuts, and are definitely among the more intelligent stories I’ve read this year. I’m always a big fan of something new when it comes to superheroes, and Jeff Lemire’s first outing on Animal Man certainly gave me that. Having a superhero with a proper family and realistic family-related drama alongside all the supernatural shenanigans that goes on gave Buddy Baker greater depth, more emotional engagement with his problems and a story that really felt organic and unforced. The artwork by Travel Foreman added masterfully to the creepy tone set by the narrative’s pacing, and the dialogue did not evoke the very worst familial and angsty stereotypes inherent in American fiction these days (probably because they were Canadian). It makes me really glad DC are actually making good moves with their supernatural “The Dark” line, and titles like this and Swamp Thing really invigorate the company by giving it titles that can compliment the bog-standard superhero ones. 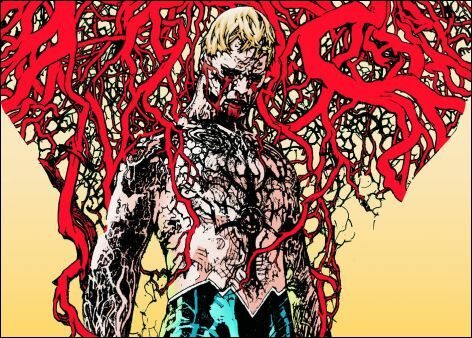 Plus, Animal Man’s crossover in Rotworld next year means Scott Snyder gets to write part of it. I was actually hard-pressed to find Marvel titles I enjoyed this year, since most of it was either ongoing volumes of series I haven’t reviewed yet (like Mark Waid’s Daredevil, which is awesome despite me not having reviewed it) or just plain crap. Kinda makes me a bit gladder their new wave of Marvel NOW! titles are coming out soon. Anyway, Jason Aaron’s work on the heels of X-Men: Schism incorporates great pacing, involving characters, one of the few actually-decent representations of Wolverine I’ve read and a nicely-quirky twist on both the standard high school plot device and the past experiences the X-Men had as members of that school. The artwork might not be up to scratch, at least at the start, but it’s still a well-written, well-executed work. I’m not usually big on non-canon Elseworlds-style stories, but Earth One left a very good taste in my mouth after reading it. Great characters that strike a balance between being different yet still recognisable to long-term and new fans, a plot that feels organic and has more than one hero’s journey going on in tandem, artwork that knocks it out of the park and feels fully fleshed-out, and dialogue that, while at times a tad glurgy, works overall. As I said in the review the only big negative I can give is the possibility that we’ll have to possibly wait two years for the next one (like Superman: Earth One did) but I hold out hope that when it does arrive, it’ll be as engrossing and have as much an original flavour as its predecessor does. Yeah, I know it’s not a superhero comic, but I cannot praise this enough. It’s one of those rare stories where no part of it felt boring for me, every character’s arc felt well-structured and marvelously executed, the artwork captures realistic facial textures beautifully, the overarching plot is engrossing and involving (I’m using those words a lot, aren’t I? ), and the end result left me hungry for more. It might seem a bit incongruous that I’m giving second-place to what is effectively an indy comic (or, at least, a non-superhero title) but Saga stood out to me not just for the above reasons, but also because it galvanized me into a new action for next year. Saga proved to me that there is more out there than just superhero stuff, which may seem a bit narrow-minded of me to not have thought of it until now, and it means next year you’re going to see more of an even split between superhero and non-superhero, rather than superhero and the odd non-superhero here and there, like a trio of doo-wop singers walking through post-war Baghdad. If you haven’t already, read Saga. It is most definitely worth your time. It was the first trade released in DC’s New 52 this year. It was the beginning of a reboot that, through triumphs and utter failures, reshaped the DC Universe forever. And it was, without hyperbole, the best superhero team-book I’ve ever read. Origin, despite the many failings DC’s reboot presented this year, managed to strike a balance between characterisation, action and interpersonal moments without getting too bogged down in any one area. The story was basic, granted, but if you get down to it, so was The Avengers movie’s – not that that’s a bad thing at all, if it’s done properly. Joss Whedon’s film and Origin both managed to execute a masterstroke of superhero teaming up without being too overly-indulgent or two-dimensional, and that’s what made them both memorable. The Justice League’s new artwork looks fantastic, the script was nuanced and crisp, and I never felt like the story lagged anywhere. It was just a brilliant, kickass superhero beat-em-up that was elevated above other attempts at its well-worn narrative by having a writer and artists who treated the universe and the characters with respect – no matter how screwed up the universe may have gotten after that point. So that’s the best and worst for 2012, folks. It’s been quite a year, particular for DC, and if the NOW! 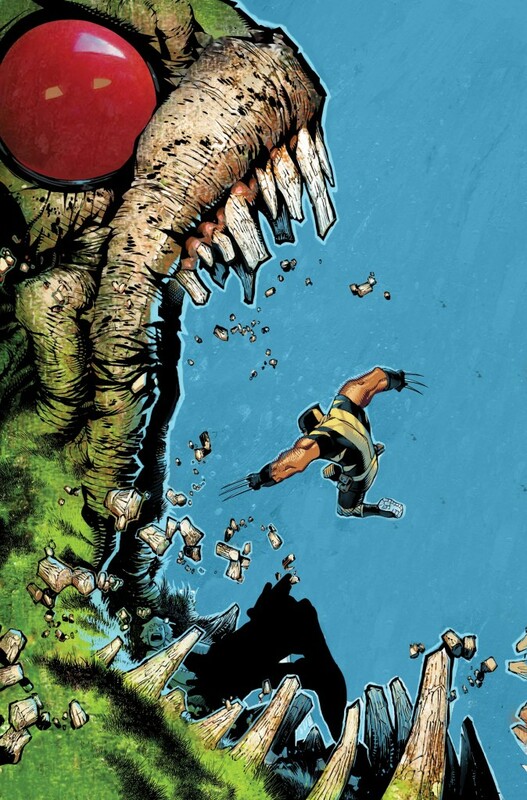 reboot gives any indication it’s that Marvel will have an equally-massive year in 2013. But hey, if Marvel end up taking the Best Graphic Novel of 2013 crown next year, that wouldn’t be a bad thing – might make me believe they’re not solely running off the financial steam The Avengers provided. Everyone at Sunday in the Comics with Christopher (and by everyone we mean that one guy) wish all readers a happy and safe holiday, a kickass New Year (with minimal hangover) and we’ll see you all in January 2013!